Join us in giving the gift of mobility to children in need around the world. +Max Promotional Spend: $30,000 for entire campaign. New user code terms: Code is applicable to new users only. Free up to $30. Valid for one ride before June 30, 2014. The offer excludes rides on uberT. Existing user code terms: Valid for one ride between May 12-18, 2014. The offer excludes rides on uberT. Maximum discount is $10. 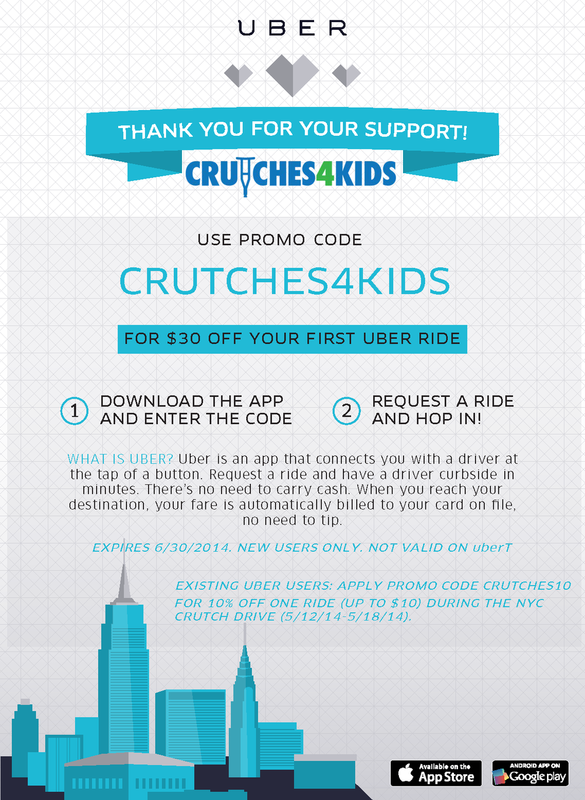 For questions email us info@crutches4kids.org.